When developers build housing projects in Richmond, they can either hand over art funds to the city or commission local art in the neighbourhood themselves. 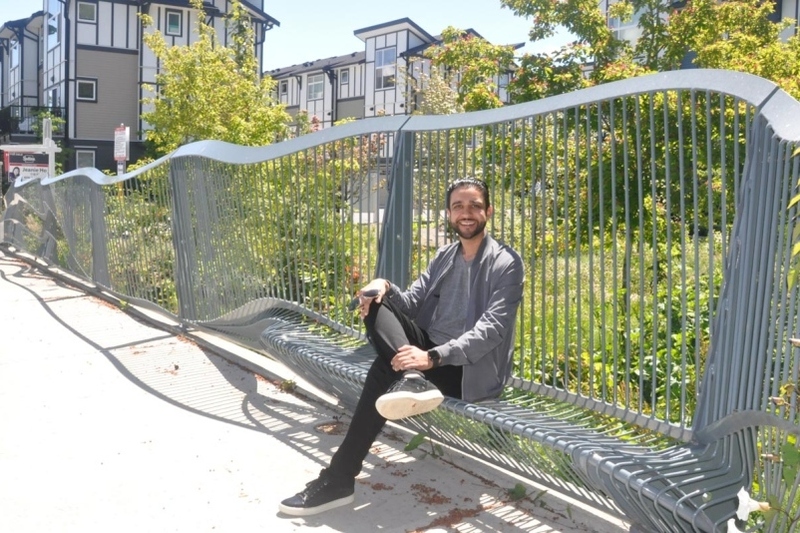 Richmond developer Amit Sandhu has come up with a third option — investing part of the funds to create an education course for young emerging artists during which they learn about how to engage in public art. This initiative won him the 2018 Business and the Arts Award given by the City of Richmond last month at city hall. “All of the cities are collecting money (from developers) to create public art, but a lot of young artists don’t even know that those funds exist in the city,” said Sandhu, CEO of Ampri Real Estate Development Group. “It’s wonderful to have an active art community today, but how can we make sure that the next generation also carries that forward? In 2015, Sandhu partnered with Professor Cameron Cartiere from Emily Carr University of Art + Design to create a one-semester undergraduate course called “The Social Practice of Public Art,” using his project on Alexandra Road as a study example. “It was an interdisciplinary course given by a very diverse team,” explained Sandhu. Students came out with a report on the history, ecology, demographics, infrastructure, legacy and resources of the neighbourhood at the end of the program, which was used as a reference for artists who bid for the project. “Understanding the neighbourhood is an important step, because when you are creating public art, it has to have some local significance and local context; it needs to tell a bit of the story about the community, creatively,” said Sandhu. Following the course, the city also held a series of workshops for emerging artists to learn about public art, also using the project on Alexandra Road as an example. A design from Christian Zenga, a new graduate from Emily Carr, was selected in the end. He created a 95-feet-long fence called “Layers of Richmond,” now sitting at the greenway at Alexandra and No. 4 roads, near the Garden City Lands, representing layers of soil in the city. “By working with younger artists, you take chances. The public art projects allow them to create works and build up the resume, with a smaller budget,” said Sandhu. Compared with established artists, younger artists usually need more guidance on the feasibility of their ideas, such as safety and maintenance. “But it also means that they are not limited by them. They have a lot of ideas and it forces us, as the industry, to think if we can turn them into reality,” he added. Having done five public art commissions for his company, Sandhu believes that it is important for developers to help create more local public art within neighbourhoods. “Like many other developers, we’ve written cheques to the city’s public art fund that helps with bigger projects throughout the city,” said Sandhu. He believes that public art helps create a vibrant community and sends out a welcoming message. “It’s good for our development project and good for the people living there,” he said.